Custom American Classic Cutter & Buck Writing Pad is made from Genuine Leather. 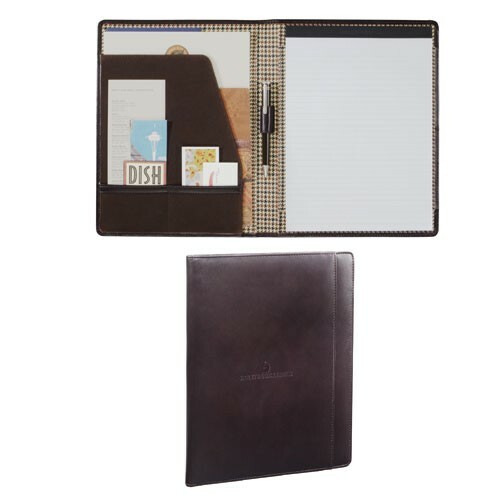 Personalized Classic Writing Pad comes with Cutter & Buck® signature lining. Cutter & Buck® writing pad dimensions: 8.5" x 11"
Custom American Classic Cutter & Buck Writing Pad is available in Mahogany color.